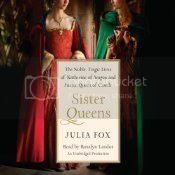 Fox recounts the stories of Katherine and Juana in a clear and straightforward manner, making Sister Queens both fascinating and easy to understand. One thing I particularly appreciated was her nuanced view of Katherine of Aragon. Katherine is generally portrayed as a saint in historical fiction, a woman completely beyond reproach who would never let a falsehood cross her lips for fear of offending her God. Fox disputes this stereotype, while still acknowledging the importance of religion in Katherine’s life, and the religious implications of her fight to save her marriage and her adopted country from Henry’s break with the church and Anne Boleyn’s Protestant leanings. Juana’s story is also put forth in an interesting manner, but as less that Fox recounted shocked or surprised me I was slightly less captivated by it. Fox is not afraid to admit where the historical record is lacking enough that nothing can be said with certainty – was Juana mad? did Katherine and Arthur consummate their marriage? – and reevaluates such questions throughout the narrative as events continue to unfold, encouraging readers to consider the entirety of the evidence, rather than simply the propaganda put forth throughout the centuries. Fox keeps the sisters’ stories moving forward, while still engaging in a good amount of historical depth, it is really very well done. Rosalyn Landor fit this history very well, with her elegant and poised narration. 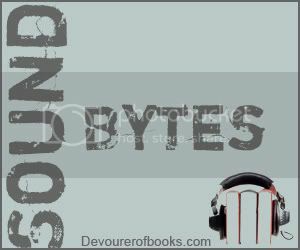 For more, please see my AudioFile Magazine review. A fascinating history, and a well-produced audiobook. Either way you win, I think. I have read one book about Juana, and many books about Katherine, and think that this book sounds very interesting. The fact that this book might give me a little bit of a different perspective on Katherine is intriguing, because I do agree with you that she is always portrayed as almost saintlike. Very nice review today! I will be looking for this one! I really like the sound of this one. I love famous history stories told from the woman’s perspective. Glad to hear it’s a good audiobook as well! I’m not sure this would be for me, but I bet my sister would enjoy it. I really want to read this at some point! I have been in love with Henry VIII stories (not him…. UGH!) but the stories, since I read The Other Boleyn Girl! This sounds wonderful! Thanks for the tip! I tried to finish my audio on Friday but I didnt make it. I hope to get better at this as I LOVE this meme! AND I get to find more great audio!